Egypt is a country on the Eastern side of North Africa. 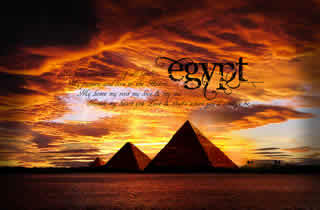 Egypt is a country that is located on the northern side of the continent of Africa. Cairo is the capital and the largest city of Egypt. Its coastlines meet with the Mediterranean and the Red Sea. The country is 390,000 square miles and has an estimated population of 84,550,000. It is the world’s 15th largest country by population. It covers an area of 1,001,449 sq. km. The distance from North to South Egypt is 1,024 km and from West to East is 1,240 km. Egypt is also known as the Arab Republic of Egypt. It is the famous tourist destination in the summer holidays. Over 1 million people visit Egypt each year. The main part of Egypt is covered by deserts forming part of the Sahara Desert, also having mountainous regions. The Nile River is the foremost thing in Egypt. Egypt is one of the oldest civilizations in the world. It is the location of the Great Pyramid and the Sphinx. The climate of Egypt is moderate; however it differs from the coastal regions to the desert parts. Near the coast the temperature average is of minimum 14°C (57.2°F) in winter and average of maximum 30°C (86°F). Being an arid country, Egypt receives few rainfalls each year, which varies from 80mm in the desert areas to 200mm in the coastal areas.